One of the premier Italian horror directors of all time, Mario Bava has had an enduring influence on countless other directors, including fellow countryman Dario Argento, as well as American directors Brian De Palma and John Carpenter. Born in 1914, Bava photographed his first film in 1939, a short called Il Tacchino Prepotente. It was his skills as a cinematographer, as well as a director, which defined horror films and in particular "giallo" films of the 1960's. His earliest foray into the genre was I Vampiri (1956), the first sound era Italian horror film. 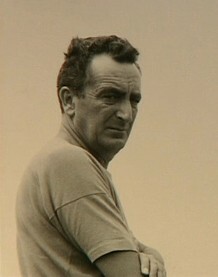 Bava began work on the picture as cinematographer, but took the director's chair when director Riccardo Freda left the project in midstream. Based on the legend of Elizabeth Báthory, I Vampiri is a beautifully shot, moving tale of a centuries-old vampiress and her search for immortality...which she finds through a special serum derived from the blood of virgins! The first film which brought Bava real international attention was Black Sunday in 1960. It was also the movie that made a cult star out of Barbara Steele. In it, she played a witch who is killed and then returns from the grave to seek revenge against the descendants of her executors. Bava went on to direct two exceptional 1963 thrillers - I tre volti della paura (Black Sabbath) starring Boris Karloff, and La Frusta e il corpo (The Whip and the Flesh) with Christopher Lee. Bava was renown for his artistic use of light and shadows in his black & white features, and later on, his startling use of color. A prime example of the latter is 1964's Blood and Black Lace. Beautifully photographed, with the obligatory black gloved killer (which would later become a staple of Argento's work), this one is a must-see. It concerns a stalker who kills women in the fashion business. You might consider it "terror on the rocks," for it features beautiful models and a jazzy lounge score to go along with the inventive and grisly murders. His 1964 sci-fi horror Terrore nello spazio (Planet of the Vampires) was clearly an influence on 1979's ALIEN, while his gialli - such as Hatchet for the Honeymoon and Five Dolls for an August Moon (both 1970) - served up a bonafide template for Italian horror for the remainder of the '70s. And with Twitch of the Death Nerve in 1971, Bava gave slasher fans his best gift yet. In many ways, the first slash-n-stalk pic, Twitch is truly the mold used to create later splatter flicks like Friday the 13th. Mid-career horror efforts - such as Baron Blood in 1972 - saw Bava in firm grasp of his gifts as a filmmaker. Surreal and beautiful, Lisa and the Devil (1972) especially is one of his most rewarding ventures. One of his last works, 1977's Shock saw Master Bava teaming with Dario Argento partner Daria Nicolodi. Son Lamberto also became a filmmaker of note, having directed such films as A Blade in the Dark, Macabro and the popular Demons pictures. Mario Bava died in 1980 after having done the special effects for Argento's Inferno. But his own work speaks for itself.